Optimised for safety, comfort and performance, the Ventus Prime³ is an excellent all-round summer tyre. 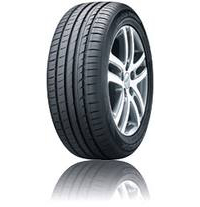 Thanks to a lightweight construction, this tyre delivers superb handling capabilities for controlled driving. Constructed with a high-grip silica compound, this tyre achieves high levels of grip in wet conditions and was awarded an 'A' in some sizes for 'Wet Grip' by the EU Tyre Label. The Ventus Prime³ (K125) also provides superb braking capabilities thanks to a specialist groove chamfer in the tread which increases the tyre's contact with the road when braking for enhanced grip.